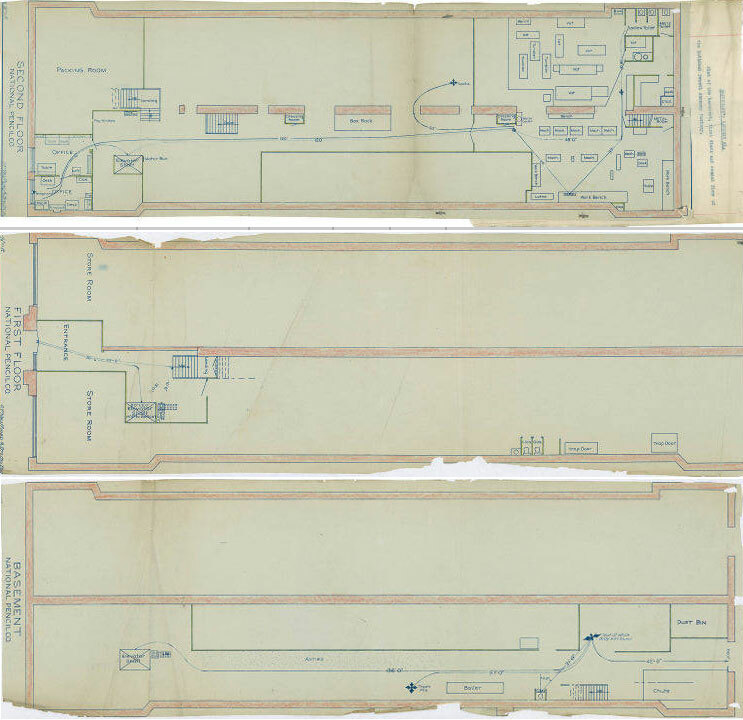 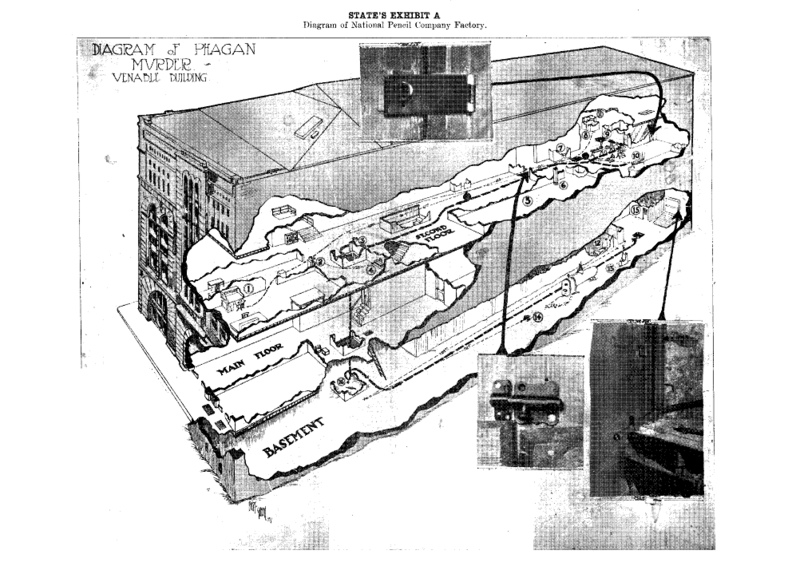 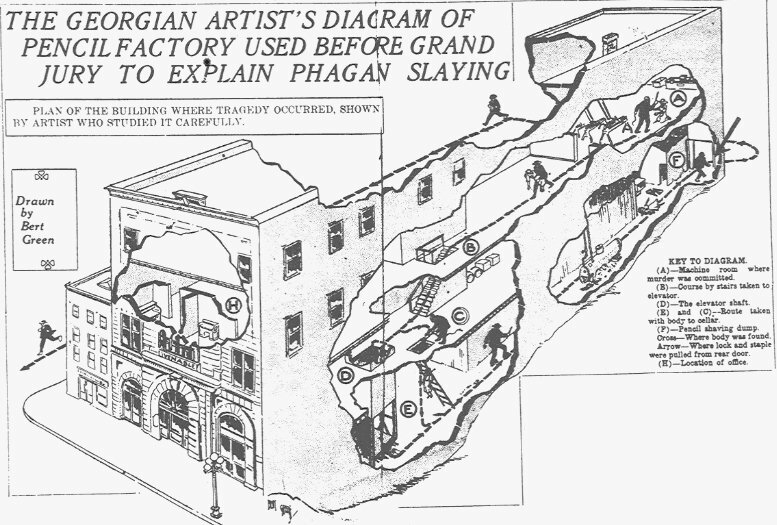 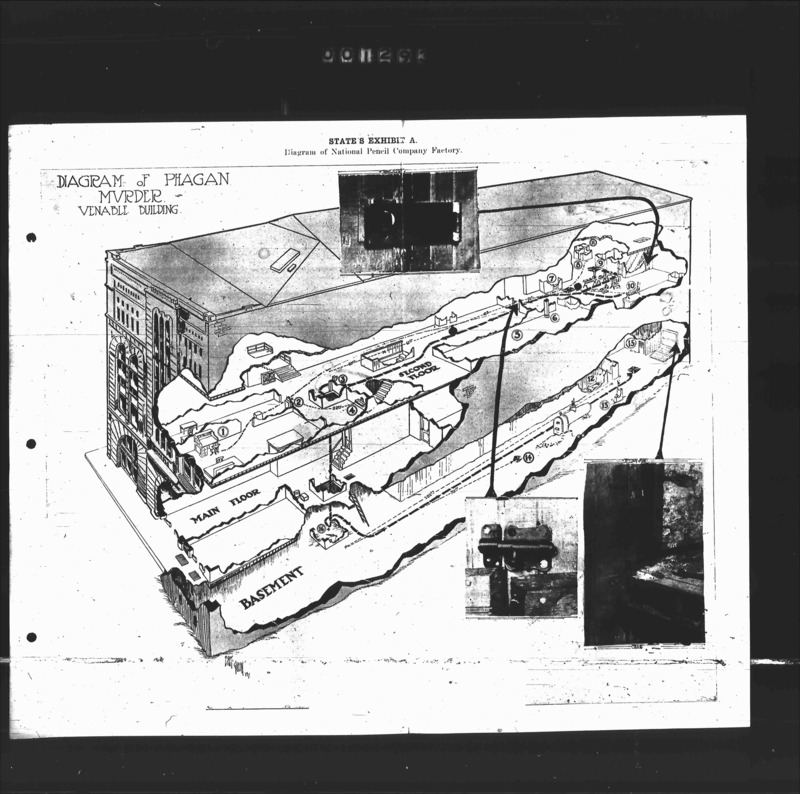 Image: State's Exhibit A, The 3D map of the Factory (small and low resolution). 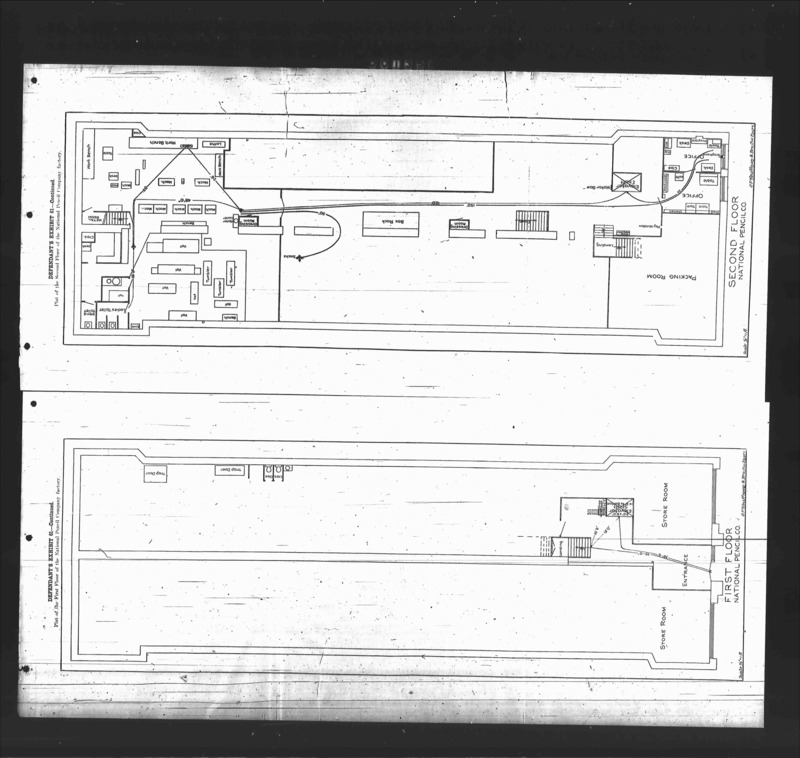 Image: Extremely Large High Resolution 3D map of of NPCo (right mouse click and save as): https://www.leofrank.org/images/georgia-supreme-court-case-files/2/0060.jpg. 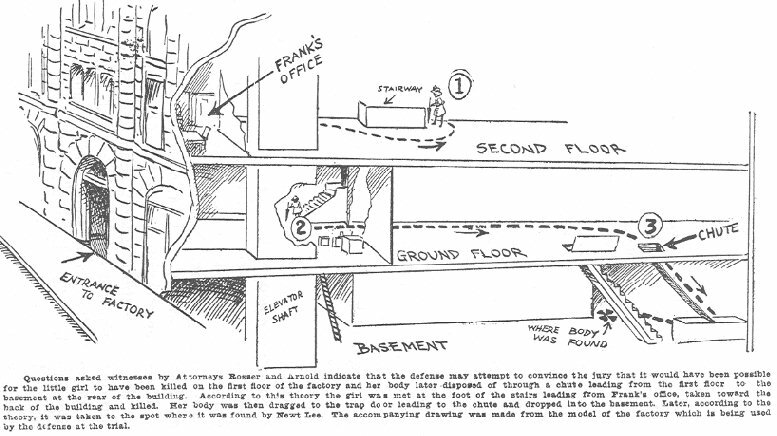 Image: Leo Frank's Defendant's Exhibit 61, the Second Floor of the National Pencil Company. 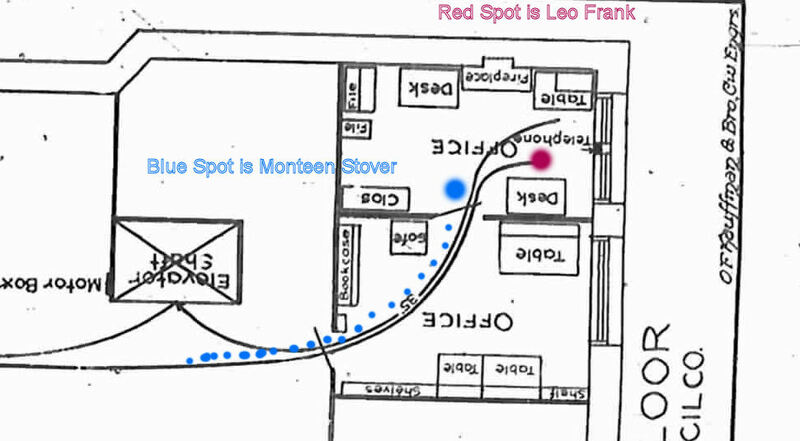 Pay special attention to the location of Leo Frank's office, metal department, dressing rooms, lathe, and bathroom. 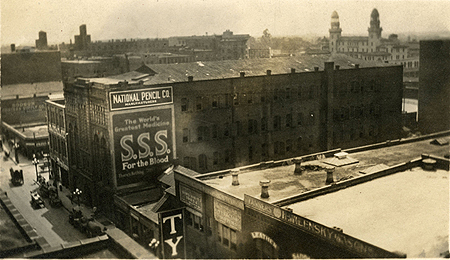 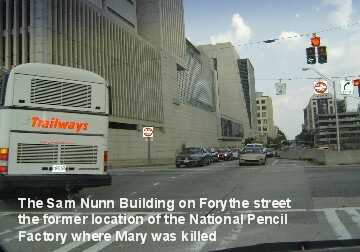 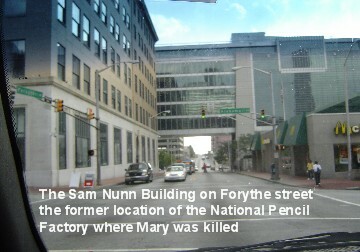 Information about the history of the National Pencil Company.